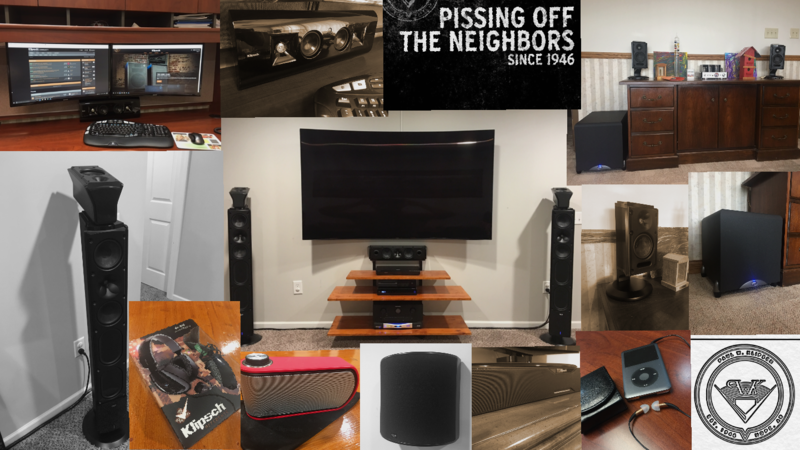 Kids, Wife, Church, Cars, Consumer Electronics, Grilling/Smoking Meat, KLIPSCH! That’s a great deal for these speakers. GLWS! @Rivernuggets Thanks for the heads up but I'm good right now. Still love these speakers and always will, but they are no match for my JBL Studio 590 setup that I replaced them with. That said, I still represent the Icon X line at work with a pair of XL-23s and XL-12s! Nismo- What kind of Nismo do you own? Here is my 2011 Nismo Z. Sorry for high jacking the thread momentarily all! johnnydrama replied to KROCK's topic in Alerts! I thought Belles were larger than LaScalas? Was just interested in seeing what some of you have for setups in your "work offices." I can't remember who it was but I saw someone who had a nearfield Cornwall setup or something ridiculous. I don't have anything that obnoxious but I really enjoy both my G-17 at my computer and my Heresy's for more serious listening sessions. I also really miss my favorite nearfield setup of XL-12s and Ultimax 10 powered by a little 15 watt Dayton DTA-1. But I had to do away with that when I went to a triple monitor arrangement. Interested to see what some of you crazies have in your offices, even if it is a home office. Me too so you could buy them and get them out of my storage room. It makes me sad every time I walk in there to see such beautiful speakers just sitting in a box with no home! It's recorded on an iPhone X so the sound quality isn't that great but this is one of my favorite Dolby Atmos demos! True however I did read an Atmos review a while back that stated that if your ceilings are 8 ft or less that the upward firing Atmos modules would disperse better than the ceiling mounted option. Makes sense if you think about it. My speakers are JBL Studio 590s. Was sad to get away from Klipsch. But these JBL horns are unbelievable and for the price I couldn’t pass them up. I was skeptical about it going into it but I needed a new receiver anyways and had the extra speakers around to give it a shot. I was happily surprised once I installed ~1 year ago. My first 2 Atmos setups had upward firing speakers resting on the front towers which yielded good results. However now I have the Atmos speakers mounted directly above the seating positions and that took it to a whole other level. Most 4K discs have Dolby Atmos or DTS:X mixes now and several Blu-ray as well. But honestly my Marantz does a heck of a job upmixing Dolby True HD and DTS Master HD tracks to Atmos/DTS:X formats. I guess what I am trying to say is don’t let the lack of Atmos content prevent you from making the upgrade. I would consider my upgrade to Atmos one of my top 3 favorite system upgrades of all time. Going from one sub to two was also a significant upgrade IMO so it would be hard to choose between those 2. I have used my setup more in the last year than I had the previous 2-3 years. Just my opinion. Also if anyone is looking for some great demo content Dolby has an app on Xbox called Dolby Access that has nothing but Atmos content. Just an FYI! Great video @Youthmankeep em comin! Make me an offer. It's a shame for such a great pair of towers to just be wasting space in my storage room! https://www.bestbuy.com/site/rocketfish-universal-wireless-rear-speaker-kit-black/8275528.p?skuId=8275528 Could give this a try. I've never used this, but have used the rocketfish wireless subwoofer kit and it works very well. No I ran them through the HDP-1800, however i didn't utilize the switch function. I think the fact that they were powered speakers in general coupled with the $2500 MSRP is why they never sold very well and discontinued quickly. That said, the styling and the performance is one of the best I have ever owned.